Before entering Canada, international students must satisfy certain immigration requirements. You'll need to contact the nearest Canadian embassy, high commission or consulate as soon as you receive your offer of admission from the Rotman School. Check out this list of Canadian offices around the world to contact for help. For further information regarding immigration regulations, please consult the University of Toronto's Centre for International Students. "The city of Toronto is amazing, a welcoming and diverse community, and one of the best places to be in the world." 1. Network, network, network! 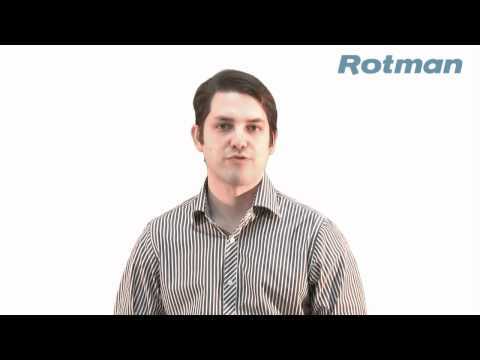 Before moving to Canada, contact a Rotman Ambassador in your country to learn what to expect from your MBA experience, and use RWorld or the Rotman Facebook page to make friends with other incoming students. 2. Double check your papers to make sure they are in order before you land in Canada. If you’re thinking of applying for Permanent Residency, remember to bring a police clearance certificate from your home country (and the countries you’ve lived in). Carry the original and a copy of all your important documents: your passport, your driver’s license, student visa, etc. 3. Start looking for a place to stay before you arrive (see Top 5 Tips for Finding a Place to Stay in Toronto). You can use the Internet to find new housing, but also plan to visit your apartment, house, or condo before signing a lease to make sure it is up to your standards and in a convenient location. 4. Give yourself time to settle in. Arrive at least a month before classes – by the middle of August at the latest – to open a bank account, find a cell phone and Internet provider, buy a metro pass for public transit, and accomplish all the many other tasks that you need to start your life in Toronto. 5. Go easy on yourself. Moving abroad can be difficult, especially when you are also trying to manage a full-time course load, deal with financial issues, and find your way around an unfamiliar city. But with the help of your classmates and your newly-earned time management skills, you’ll land back on your feet and feel at home in no time. Bonus tip: Don’t bother packing winter clothes – buy them here! Unless you’re coming from a country with cold winters, your clothes may not be warm enough once January arrives.